Any time I see a blog that mentions cancer I get excited and zoom over to read it. I’ve found very few that ever mention pediatric cancers, so I guess our site is pretty unique in that. However, I am excited to share some other blogs written by mom’s of cancer kids who could use some support and show them what a brave thing I believe they’re doing to share their journey with the world. A few weeks ago I found this awesome blogosphere-wide event going on at Goodies for Mom and Friends of Heroes promoting the Leukemia and Lymphoma Society. You should absolutely go check them out because they have some MAD prizes available for anyone who visits. If you have a blog of your own, I would urge you to take the time to be a part of this event by writing your own post or putting a button your site to promote awareness. This worked perfectly me because I had my own Leukemia and Lymphoma Society event this week to share with all of you. Last year, a group of the Tampa area families were invited to participate in the Pennies for Pasta program that reaches out to local schools and allows their students to be a part of a fundraising event that raised over $257,000 this year alone. The class in each school that raises the most money is treated to a great lunch provided by Olive Garden! 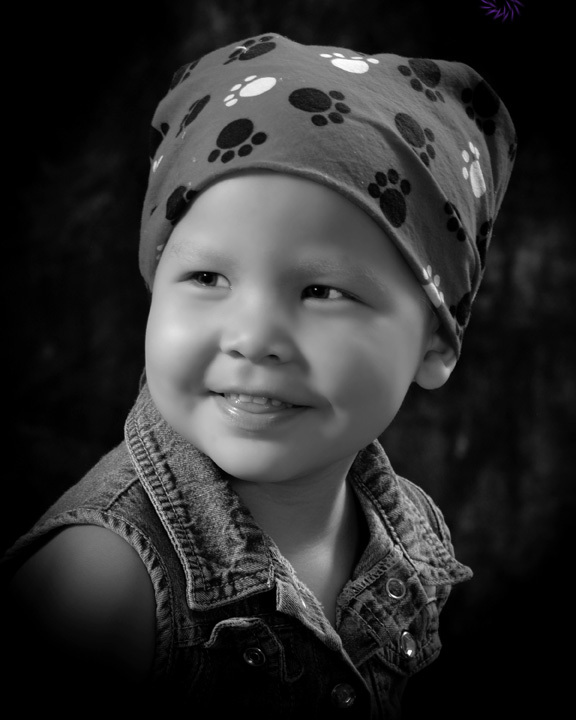 At the kickoff of this past year’s event the families were treated to a photo session with Flashes of Hope that donates amazing photos to families with life-threatening illnesses. Can I tell you how much fun we had that night? We got our hair and makeup done by professional makeup artists, we got these phenomenal gifts of pictures with our kids and, well, frankly, any time this group gets together you can expect a rolling fun time. We are all proud to have our children be honored as survivors. For me, it is empowering to feel as if there’s something good that comes from having a child with cancer, we can raise awareness and hopefully make a difference in the lives of the many future children who will be diagnosed. While the L&LS reach out to adults on a large scale as well, our lives revolve around our children and those are the ones that we focus on. It’s an opportunity to lift our child high and say “HEY! Don’t forget that kids get cancer too! We are fighting for their lives and we need your help! !” It’s a desperate plea for people to understand that cancer strikes at any age. Wednesday 6 of the families with kids who were honored survivors had a luncheon at Olive Garden with the top fundraising schools. It was a chance to come face to face with the people who put so much work into getting out the word and teaching these school-aged kids that even pennies matter. What was devastating was to know that of the fairly small number of families chosen in our area, I think 10-12, 3 of the honored survivors lost their battles. Emily Lester, Mathew Gliddon and Sierra Kesler weren’t at the lunch because their treatments failed. I cannot even explain the agony in my heart. It hurt so much to look around the table and know they should be there, but they weren’t because of Leukemia. Every day I blog for blood cancer. I blog for my daughter who has battled hard and who is winning this fight. I blog for the many children who will lose to cancer’s devastating attack. I blog because I believe once you know, you can’t unknow. Once you’ve been made aware, you can’t forget. This is the reason I blog for blood cancer. Posted in: blogger stuff, charitable goodness, events and happenings, Mayhew niblets, the cancer life, these people are our friends. Thank you, Anissa. I’m sure I’ve said this before here it is again- when I read your posts I feel like you are my voice. It’s hard to put all the emotions into words. You do a fanastic job! Always praying for you and your beautiful family. Thank you so much for your heartfelt post!!! (wiping the tears) Families like yours are the inspiration behind the Friends of Heroes team. You give so much to others even when you are in the fight yourselves. Amazing!!! Thank you for all you do!!!!! Your daughter is absolutely beautiful! Thank you for sharing her with us. You will be in my prayers, as will your precious daughter. I have followed your site for a long time having come across it through Mathew Gliddon’s page. For 3 years Mathew was our “Honored Hero” at Tarpon Springs Middle. Many of us became involved in this fight because the Gliddons are family friends. My colleague and I couldn’t make the luncheon this week because of work, but I would have welcomed the opportunity to meet the amazing mom who writes with such a gift. I hope that some day we will meet in person. I thank you for sharing the importance of the Pennies for Pasta program, and I promise that we will continue this fight in Mathew’s memory and in honor of your adorable daughter and all of the other children and families who have been affected. This makes me tear up a little. I don’t have a blog about cancer, but I did sign up today to do a breast cancer walk in October — and I plan to blog about that. omg, your daughter is so stinking cute! I love that bandanna. I’ll go check out the other blogs, and yes, our school does Pennies for Pasta, too. That’s the time of year that the kids voluntarily clean out the car, under the sofa cushions, and under the bed…where all the spare change ends up. Big hugs and smooches to you and yours. I’m breaking out the checkbook right now! You are amazing, Anissa. It’s pretty clear where your daughter gets her strength.